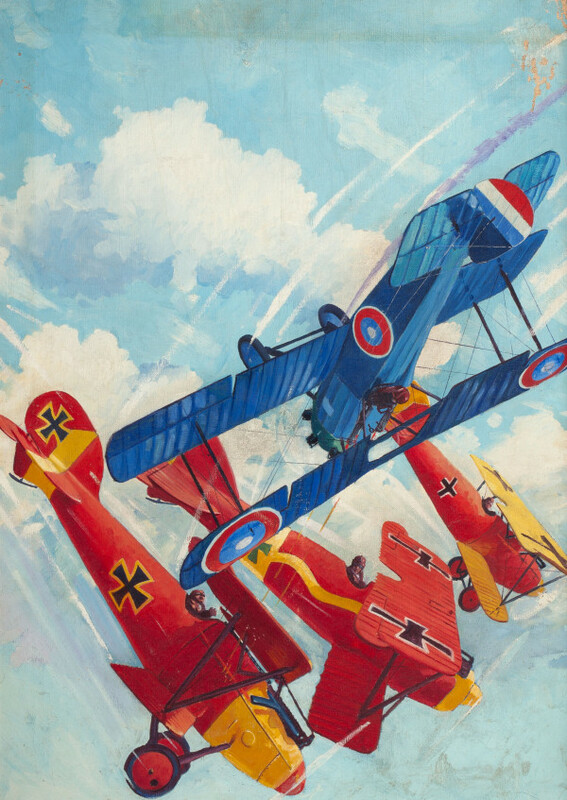 Editor’s Note: This month’s cover is the twelfth of the actual war-combat pictures which Mr. Blakeslee, well-known artist and authority on aircraft, is painting exclusively for BATTLE ACES. 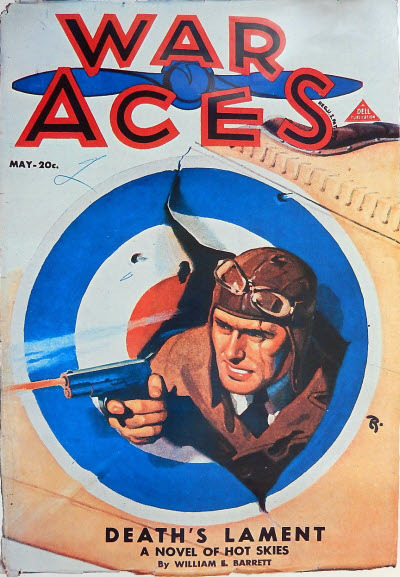 The series was started to give our readers authentic pictures of war plwves in color. 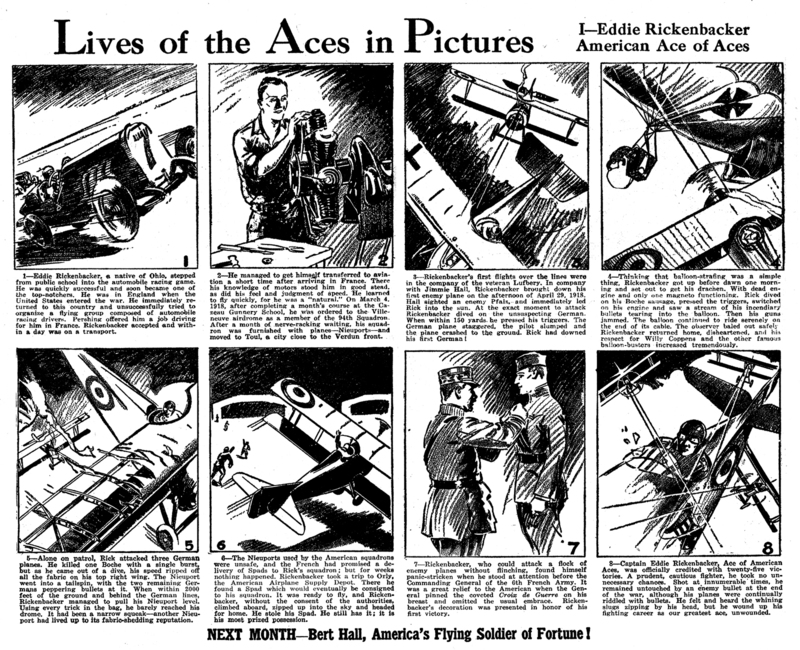 It also enables you to follow famous airmen on many of their amazing adventures and feel the same thrills of battle they felt. Be sure to save these covers if you want your collection of this fine series to be complete. THE PAINTING on the cover this month lacks two things—movement and noise. 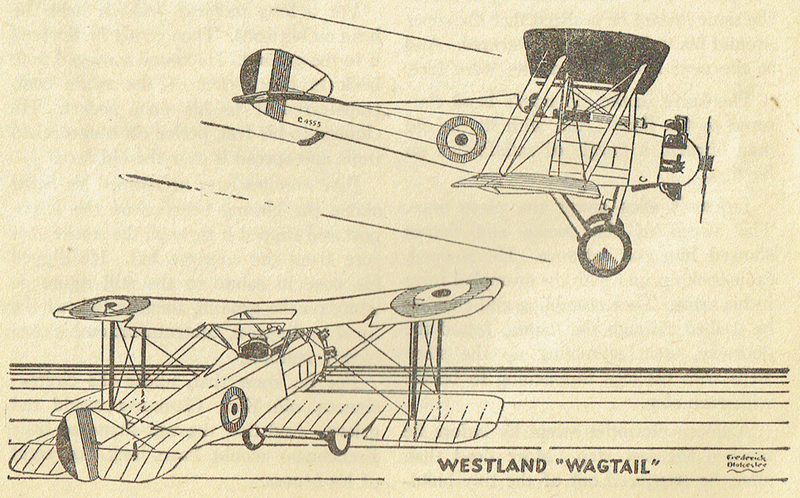 The only way to show movement is by the speed lines which stream out behind the planes. As for the noise, you will just have to imagine it. The three diving Germans with motors wide open are sending forth a deafening roar which gives the effect of a musical note when heard at a distance. The American ship, upside down as it zooms over, is emitting a high-pitched, reverberating and ear-splitting shriek. It drowns the bark of two Vicker machine guns which are pouring a stream of hot lead into the nearest Boche. Now that you have stuffed cotton in your ears we’ll go on with the story. The action took place near Chateau-Thierry on July 2, 1918. 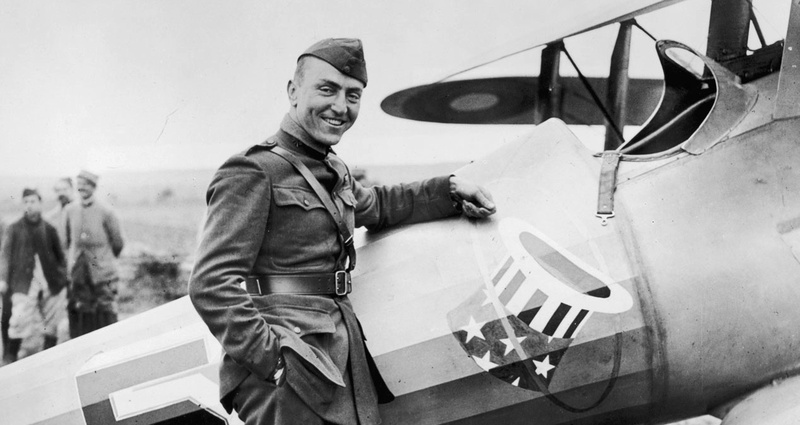 The pilot of the American ship was First Lieutenant Alfred A. Grant of the 27th aero squadron. 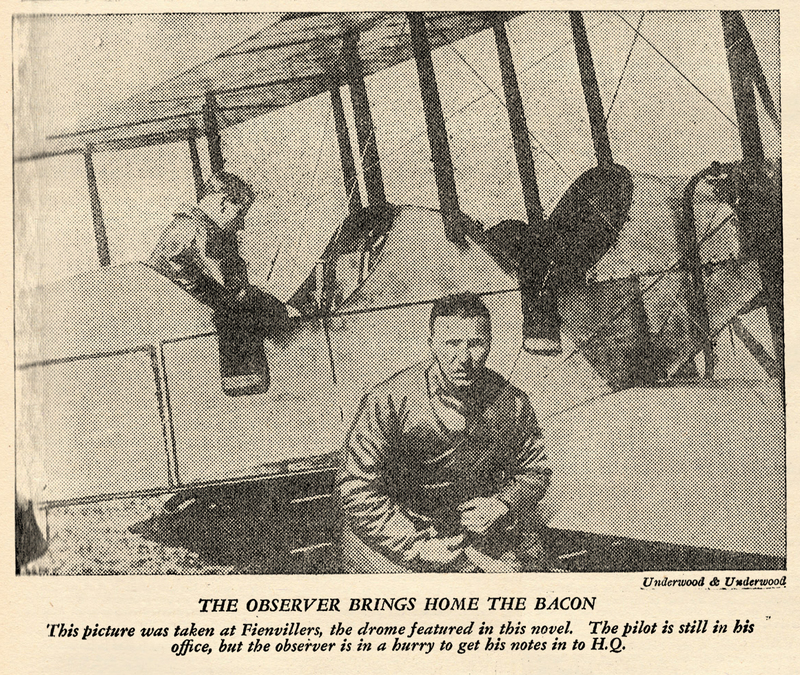 He was out on a patrol with several other officers when he encountered an enemy formation of nine planes. During the combat which followed, Lt. Grant became separated from the others and was immediately set upon by three of the Jerries. He led these three Boches all over the sky, his comrades having vanished. Whenever opportunity presented itself he would turn and pour hot fire into a German ship. By skilful maneuvering he managed to keep out of serious trouble. He kept the three Germans on the qui-vive however, and they found it impossible to corner him. Suddenly Lt. Grant broke off the fight and started on a bee-line for home. This was what the Germans wanted and hoped for. They gathered together in a group and dove after him. On the other hand this was what Lt. Grant had hoped they would do. He allowed them to approach to within range and then zooming up and over he let go a withering blast of machine-gun fire straight into the Jerry ships as they streaked by under him. One Boche continued his dive into eternity and the others turned and fled for home. 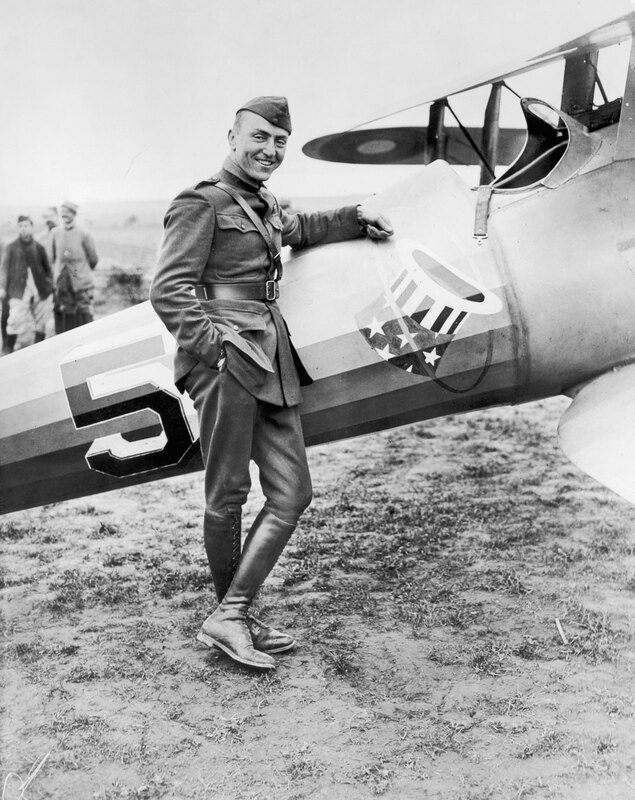 For this action Lt. Grant was awarded the Distinguished Service Cross. 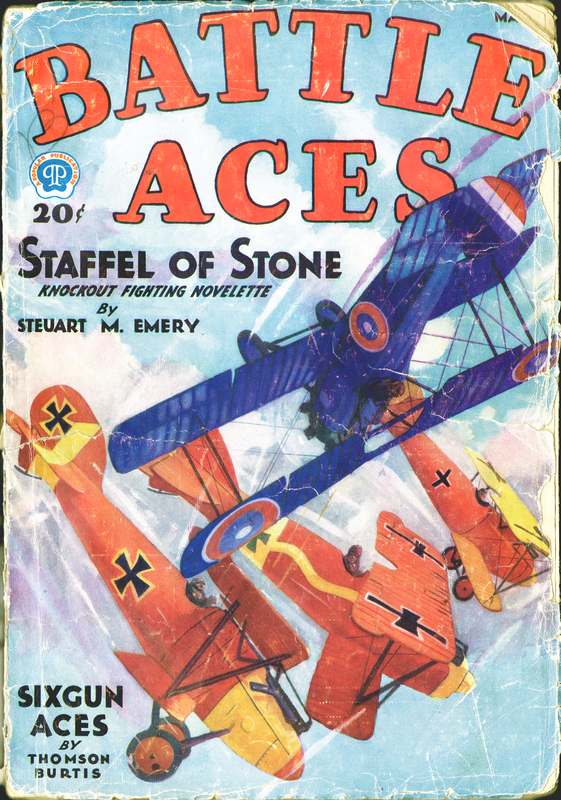 At first glance you may think the German ships are Pfalz scouts of the type shown on the cover last September. If you have that cover compare the two and you will see how and where they differ. 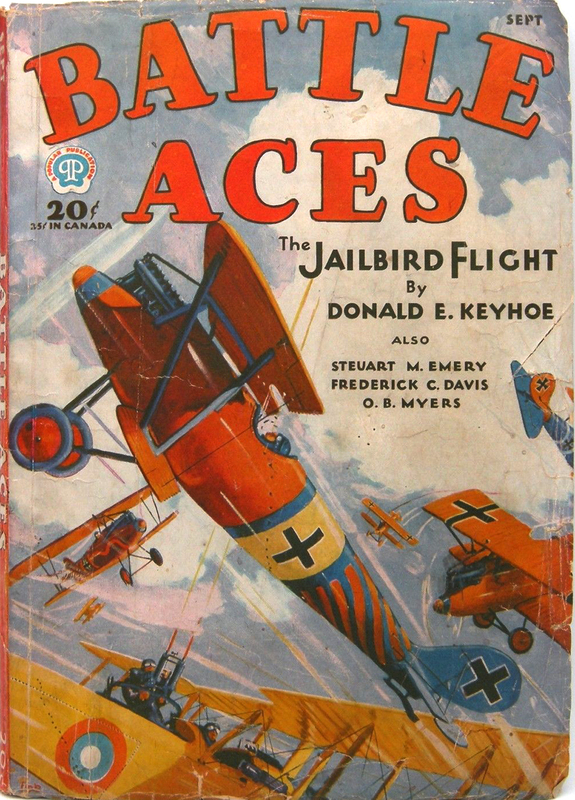 The machines illustrated on this cover are Albatros D.V.’s. 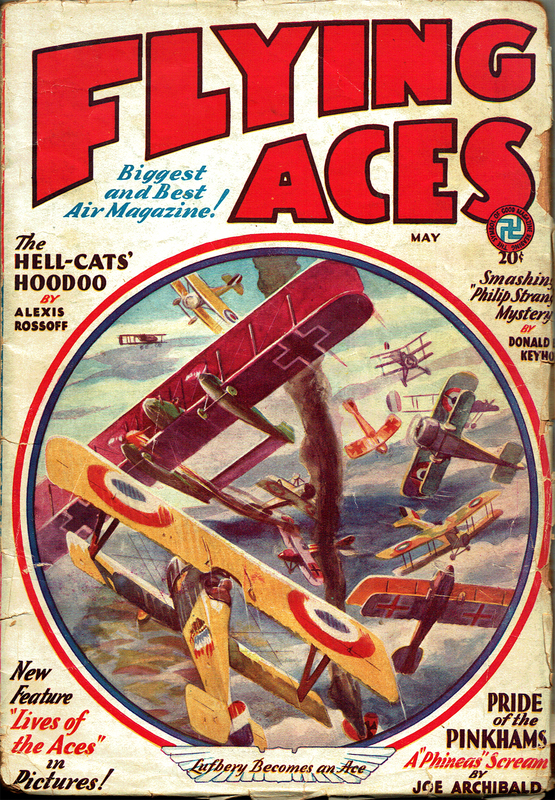 The Albatros biplanes were largely used in the War, at first as rather slow two-seater fighting machines, and as reconnaissance types. At the end of 1916 there came a very small Albatros single-seater with a Benz or Mercedes engine of some 175 h.p. This little ship did much damage to the Allies’ airplanes, until it was met and defeated by still faster British and French machines. The speed of this ship was between 120 and 130 m.p.h. at its best height. This was the type known as the DIII. The DV was essentially the same as the DIII with no outward difference in appearance. There was, however, an improvement in speed and maneuverability. The DIII and DV were speedy looking ships and beautifully stream-lined. They have two Spandau machine guns firing through the propellers. There was also an Albatros DXI, quite radical in design. The body instead of being rounded was box-shaped and for no apparent reason the rudder and fin were advanced. Between the wings it had a single instead of the V strut. As the bottom wing was much shorter than the upper, this strut inclined outward, and did away with all wiring. 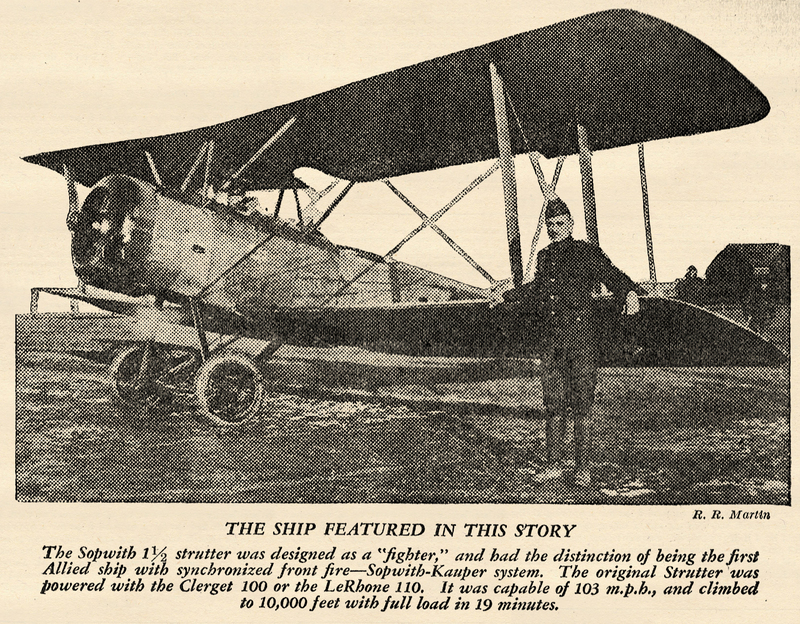 There was also a two-seater Albatros and a two-engined bomber. It was designed in answer to a general demand for a fast, quick-climbing single-seater fighter, and its purpose was for high altitude fighting. It met the demand, for it could climb to its service ceiling of 17,000 ft. in 17 minutes—a thousand feet a minute, which was fast climbing in those days and hardly surpassed even today. The pilot’s view upward and downward, was very good, as more than half the center section was left open. The engine cowling differs from the accepted type of the day and has more or less of a modern appearance. It had a span of 23′ 2″ and an overall length of 18′ 11″.